What is a media-musical event, you might ask. Well, it’s a combination of a media and a musical presentation. A clever mixture to tell a story. In this case, a story about a Prodigal Father. In some ways it can be rather negative. But in the case of the Father, his only extravagance is his love being poured out. 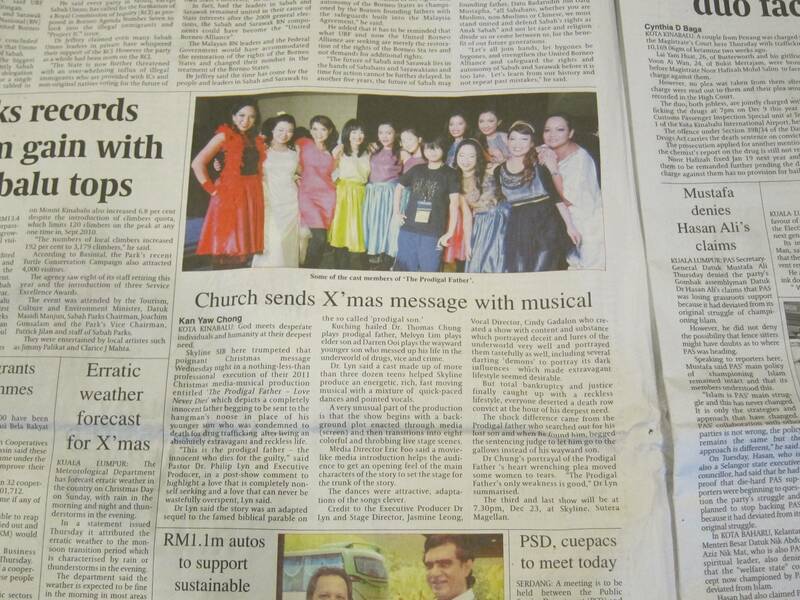 Oh, and it got featured in the local papers. Arrow #3 was one of the dancers. This entry was posted on 22/12/2011 at 00:32 and is filed under Christmas, Event, Music. You can follow any responses to this entry through the RSS 2.0 feed. You can leave a response, or trackback from your own site.